Well, that was unexpected. While riding through the hills outside of Palm Springs, I just happened to come across a done-up Shelby GT in the middle of some elaborate marketing shoot. Oh, and it brought along a friend, too. Corrected with the right info. 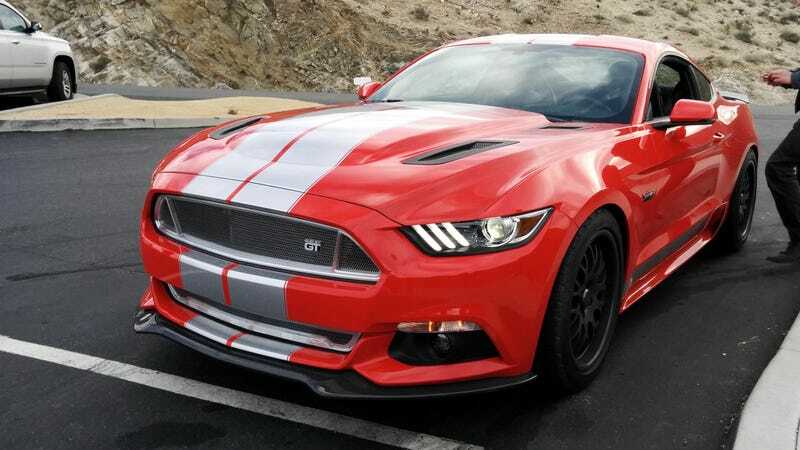 Not the GT350, but a reworked GT with some Shelby bits.